The DAESSY Tablet Cradle Holders for iPad enables real-time rotation between landscape and portrait orientations and can be used with any DAESSY Quick Release Base system. The DAESSY RAM Cradle Holders for iPad allow connection and positioning your iPad on your DAESSY Mount via the DAESSY Quick Release Base system. It also allows you to easily remove the iPad from the RAM Cradle if required, as it's based upon RAM's fantastic EZ Roll'R Cradle. The best of both worlds. This adapter is based on the RAM EZ Roll'R Cradle which is made of high strength composite material. 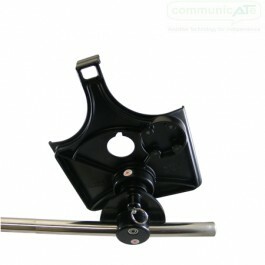 Daedalus Technologies combine it with a DAESSY Case Twist Adapter. Together, they form an adapter tray that enables real-time rotation between landscape and portrait orientations whilst holding the iPad in the cradle. 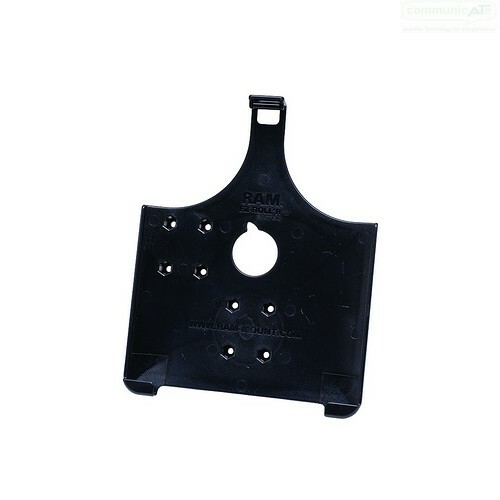 The DAESSY RAM Cradle Holders for iPad are the same as any DAESSY device adapter and has a method of allowing the iPad to be released for use off the mount kit. 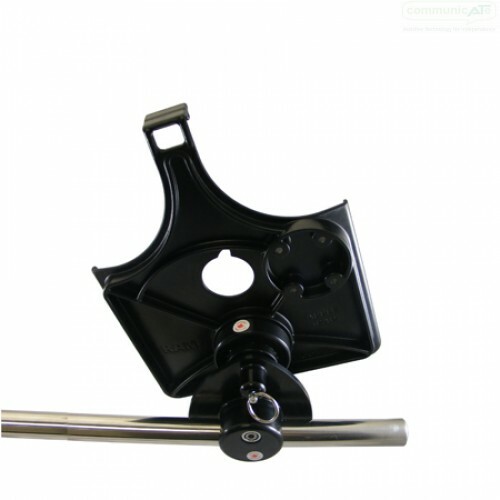 It is compatible with all DAESSY Quick Release Bases, held securely whilst attached via the locking pin on the DAESSY Quick Release Base or released easily by pulling to spring loaded pin. 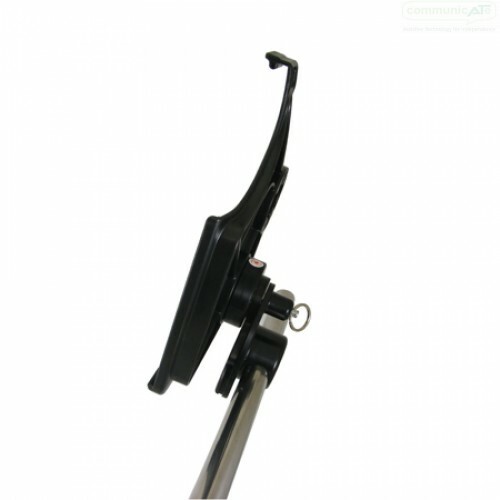 The DAESSY Cradle Holders for iPad can be left on the mount kit and the iPad easily removed. The feature of the RAM EZ Roll'R cradle is it's ease to do just this, by bending the roller at the top of the cradle the iPad can be released from the cradle. It's requires a little bit of effort to do so, however can be a convenient feature if the iPad is to be used in other settings. This system is not compatible with iPads in protective jackets or cases. DAESSY Quick Release Bases are either purchased separately or come included with a DAESSY Mount Kit or DAESSY Mini Mount Kit. Contact us for information on other tablets if needed.